Several CSL faculty were honored at the 50th-annual faculty award ceremony for Engineering at Illinois. Professor Wen-mei W. Hwu was awarded the Collins Award for Innovative Teaching, Assistant Professor Shobha Vasudevan earned a Dean’s Award for Excellence in Research, and three ECE professors were named Engineering Council Outstanding Advisors: CSL's Professor Jose E. Schutt-Aine, CSL and ITI Associate Professor Rakesh Kumar, and ITI's Assistant Professor Robert Pilawa-Podgurski. Hwu earned the Collins Award for Innovative Teaching, an award that recognizes outstanding development or use of new and innovative teaching methods. Hwu’s major avenue of innovative teaching is his development of a parallel programming course, both in the ECE ILLINOIS classroom and across the world online. His massive open online course on parallel programming was first offered through Coursera in 2012, and a revised version of the class was offered earlier this year. Parallel programming is essential to the continued improvement of software performance. Hwu is committed to educating students at Illinois and beyond in this form of programming, which has only recently become vital on a large scale. Most software applications are written as sequential programs, where a single processing unit runs the program line-by-line. This traditional style of programming, however, does not take advantage of the multiple processing units available for the past decade in consumer computers. In order to improve software performance and develop new capabilities, software must be written as parallel programs, in which “multiple threads of execution cooperate to complete the work faster,” Hwu said. Hwu is a leader in that search for effective parallel programming teaching methods. Because there is a need for many parallel programmers, Hwu brought his expertise to Coursera, a massive open online course platform that hosts experts from leading academic institutions to teach courses. His Coursera course is based on his experience teaching his original classroom course, but modified for the new platform. He used the Personify video technology, developed at ECE Illinois, to provide the students with a much more engaging online learning experience. Hwu worked with graduate student Adbul Dakkak and others to automate the programming lab and make it available to the massive number of students. Considering his pioneering efforts in teaching an increasingly relevant topic, and his commitment to using online platforms to reach a wide pool of students, it is no wonder that he was awarded the Collins Award for Innovative Teaching. Professor Shobha Vasudevan earned a Dean’s Award for Excellence in Research, an award given to assistant professors who have conducted outstanding research during the previous academic year. Vasudevan’s most visible, high-impact research contribution during that year was her work on GoldMine, a software implementation of algorithms to automatically generate invariant properties for verifying digital hardware. The verification process in industry is a major roadblock, most often requiring more time and resources than technology development itself. By automating much of this process, GoldMine has had immediate impact in industry. Vasudevan’s GoldMine-related work has been articulated in several papers, such as the paper that earned her and her team the Best Paper Award at the 27th International Conference on VLSI Design. She also recently received the Best Paper Award at the 2014 Design Automation Conference (DAC) for her research in code coverage of assertions using register transfer level (RTL) source code analysis, which helps with accuracy and speed during the verification process. One of Vasudevan’s other big accomplishments over that one-year period was a Big-Data analytics project. Vasudevan and her group worked with Huawei Technologies, a company in the telecommunications industry. Her group developed a methodology for diagnostics and root cause analysis in system level transaction trace data of wireless baseband systems. Vasudevan explained that identifying the causes of latency issues – called performance violations – in the performance testing of cellphones is no small feat. “It’s finding one culprit among billions — probably worse than a needle in a haystack,” she said. Vasudevan’s PhD student, Lingyi Liu, helped create a system for finding that needle. He mimicked a wireless baseband system that he and some collaborators had worked on at Huawei. He implemented it in the lab, created a realistic testbed, and then used it for extensive experimentation with ECE undergraduate student Xuanyu Zhou. It took more than a year to get the experimental results. Vasudevan and Liu have released the testbed for use by researchers in this area, so that the reliance on proprietary systems is diminished. Vasudevan plans to extend the ideas of harmonizing statistical data analysis techniques with algorithmic inferencing to other applications of big data analytics in the future. Vasudevan also received the 2013 ACM SIGDA Outstanding New Faculty Award last year. Her work was published and presented widely across the one-year period considered by the Dean’s Award. GoldMine was licensed by multiple EDA and semiconductor companies at this time, including IBM, Cadence, and AMD. Schutt-Aine, Kumar and Pilawa-Podgurski were named Engineering Council Outstanding Advisors. The advisors are chosen based on evaluations from undergraduate and graduate students within the engineering discipline. Hwu, Vasudevan, and the outstanding advisors were recognized and presented with their awards at the Spring 2014 Engineering at Illinois awards ceremony. 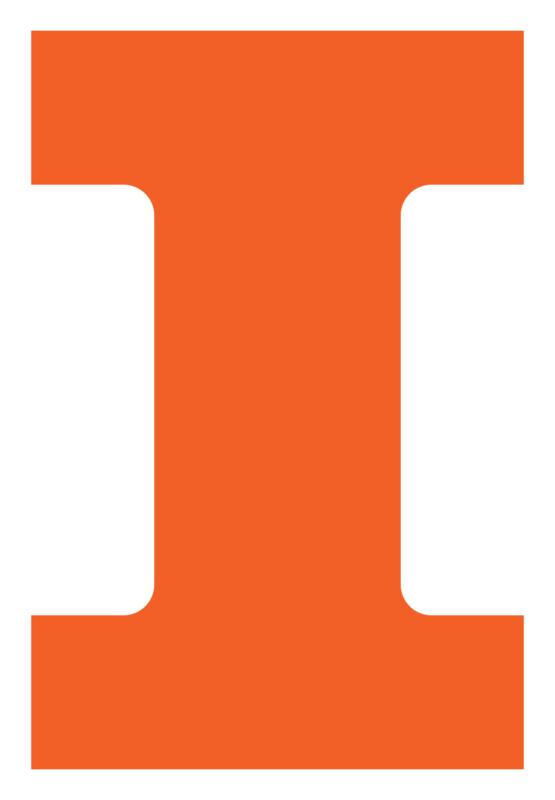 Editor's note: media inquiries should be directed to Brad Petersen, Director of Communications, at bradp illinois [dot] edu or (217) 244-6376.